The Bank of New York (BNY) Mellon’s relocation achieved the requirement to create an environment reflective of a leading global financial services firm, and realise spatial efficiencies, increased collaboration and alignment with company security requirements. 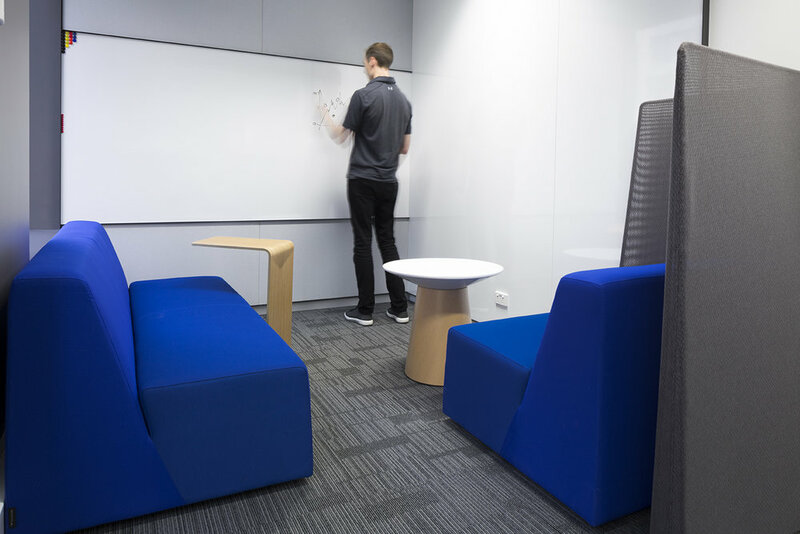 Employee amenity was increased with electronic sit-to-stand workpoints, flexible collaboration zones, quiet rooms and shared access to natural light and Collins St vistas. Integration and seamless usage of AV and VC equipment within a well crafted acoustic environment provides BNY Mellon staff the optimum space to conduct business with their clients.